Grand Launcher it is very easy to use..
CALLS - this is a list of recent incoming and outgoing calls. Select from the selected contact or unknown number to quickly make a call. CONTACTS - contact list saved on your smartphone. Select the selected contact from the list or search for it using a friendly keyboard that prompts subsequent letters. 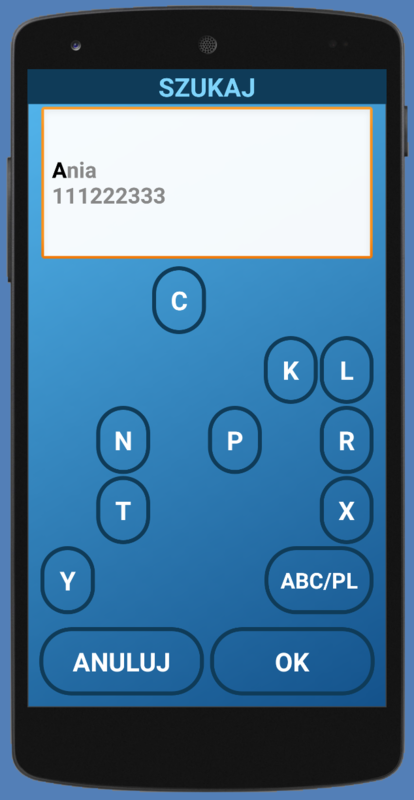 ENTER NUMBER - numeric keypad for entering the number manually. 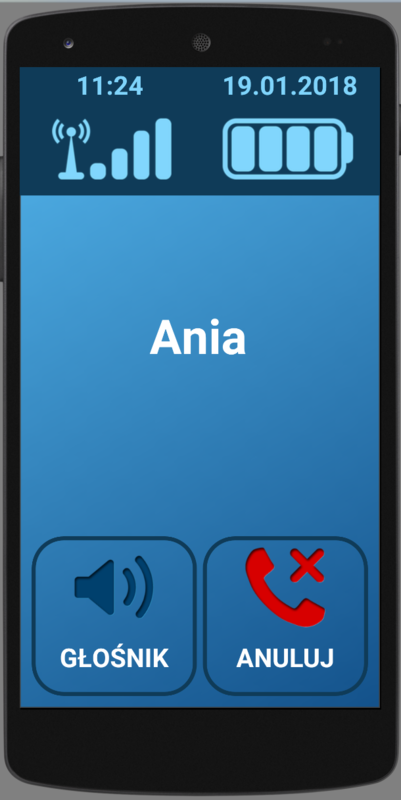 During the conversation, the SPEAKER button is visible on the screen, which is used to activate the handsfree mode. Long press the SPEAKER button to change it to the touch tone button. This function is useful when making calls to answering machines. Select the CANCEL button to end the conversation. ENABLED: YES - activates the location function. Before the first attempt to enable, a system message will appear regarding the location services permissions. After agreeing to the access to the location, a window will also be displayed forcing the password to the application option (if the password for the option has not been set previously). The password for the option is necessary to prevent unauthorized persons from making changes to the functions. GUARDIAN - phone number of a trusted person. The number is dialed from the smartphone's phone book and only to this number will be sent an SMS with a link indicating the GPS position. SMS COMMANDS - commands included in the SMS message sent by the guardian. The default command values can be changed to your own for each location method. Warning! Any attempt to send a command from a number other than the guardian will be ignored and the person being traced will be notified of this event. GPS LOCATION - command that attempts to track using a GPS receiver. This is the most accurate way to determine the location (from a few to several dozens of meters), but lasts the longest and does not work in buildings. If it is not possible to determine the location within 3 minutes using this method, we will get an SMS message with the approximate WIFI or BTS location. WIFI LOCATION - command that attempts to track using the nearby WiFi networks. This is a very fast way to determine the location because the effect will be obtained after a few or several seconds. In cities, the accuracy ranges from a few to about 150 meters. Uninhabited terlanes are not available for this type of location. If we can not determine the location with this method, we will get the approximate location of the BTS. Works in buildings. BTS LOCATION - command that attempts to track the cellular networks network using BTS transmitters. This is the fastest way to determine the location because the answer will be obtained after a few seconds. However, this is the least accurate method of location but works in buildings. In cities, the accuracy ranges from a few hundred meters to about 3 kilometers. The BTS location can have an accuracy of several kilometers on undeveloped terlanes. After installing the application Grand Launcher it should be set as the default home screen. 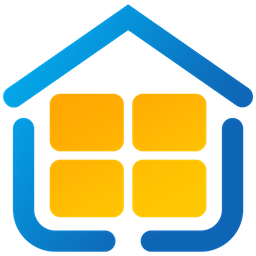 Press the "Home" button (the middle button of the smartphone under the screen or the button on the screen with the home or circle icon) on the smartphone to open the list of suggested applications and select Grand Launcher. , choose SETTINGS , and DEFAULTS and then HOME SCREEN. On smartphones with Android 5 and newer, a window will appear with a list of applications that can be the main screens. On smartphones with an older system than Android 5, the default settings of the active home screen in the system should be cleared. If you have a problem with setting the application Grand Launcher as the main screen, try to reinstall it. To open options, hold down the button LOCK. PASSWORD - allows you to set a password that prevents accidental changes to settings or blocks unauthorized access. - the main application settings regarding sound, appearance and operation. : YES means that the application will take over the role of the home screen instead of the less-accessible system screen. 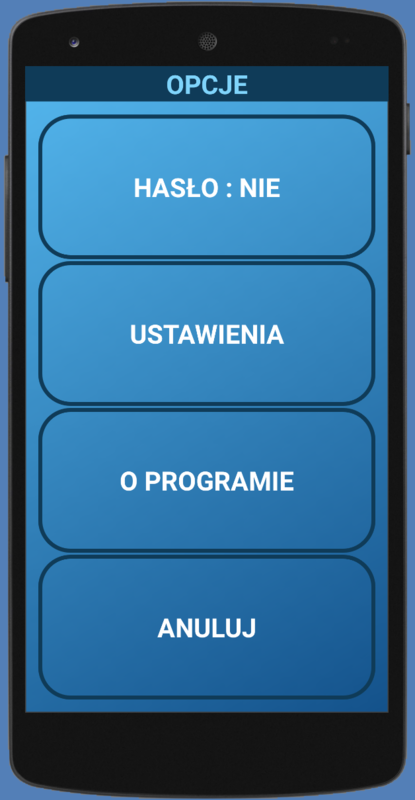 SYSTEM : YES - means that the application does not interfere with the volume settings, and the control is done simply by the buttons of the smartphone or system settings. SYSTEM : NO means that the application takes full control of the volume, and its change takes place only through the application buttons LEVEL UP i LEVEL DOWN. In addition, the physical buttons of the smartphone are blocked, which prevents accidental silencing of the smartphone. VOICE ASSISTANT , which can be used by a blind person. The application can also inform by voice who is calling by saying the name of the contact. INCOMING CALLS : YES - enabled assistant to say a contact name during an incoming call. Warning! The minimum requirements for the VOICE function are Android 6 or newer. FONT SIZE - the ability to change the font size in the application using the GREATHER or SMALLER button. ON TOP : YES/NO - enabling this setting prevents accidental activation of another application or provides controlled blocking of other applications. SHOW OPTIONS : YES/NO - allows you to enable an additional OPTIONS button in the application windows. You can modify the menu by setting various functions on individual buttons. The exception is the LOCK button. To change the selected button, hold it down until the window opens FEATURES. EMPTY - the button will be removed and there will be an empty space in its place. To add the button in this place, hold your finger in this area for longer. NEXT - setting this button function allows you to go to the new main menu page. By adding this button on each following page, you can create a menu with multiple screens. CONTACTS - allows you to add a shortcut to any contact from the phone book to the main menu. 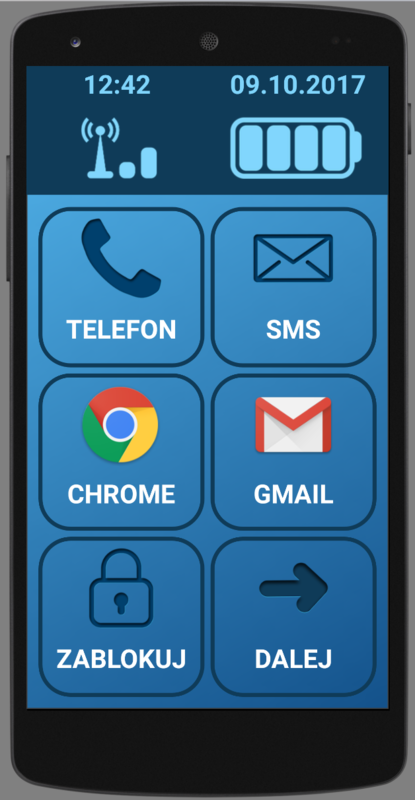 To add a new contact, select PHONE, then hold CONTACTS for a long time until you reach the OPTIONS : CONTACTS window. Select ADD, enter the new number and then the name of the new contact. To delete the last letter or number, press the text box above the keyboard. 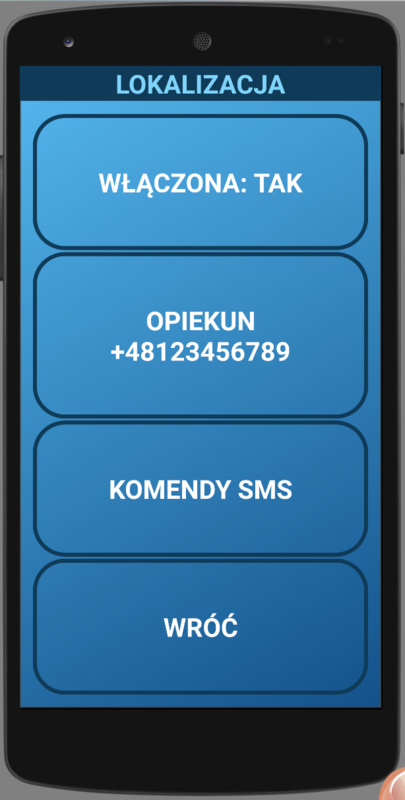 To save a new contact, select OK.
To add a contact from the call history, select PHONE then CALLS. Hold down the key on which the UNKNOWN contact remains until you reach the OPTIONS: CALL window. Choose ADD CONTACT. Enter the name of the new contact and save with OK.
To edit an existing contact, select PHONE then CONTACTS. Long press the button with the contact's name until the OPTIONS: CONTACT window appears. Select EDIT NUMBER OR EDIT NAME to change contact information. To search for a contact, select PHONE then CONTACTS and then SEARCH. Using the keyboard, start entering the name of the contact or phone number. The name and number of the most-fitting contact will appear in the text field above the keyboard. Each time you press the keyboard button, letters or numbers disappear that do not match the results of your search. Thanks to this innovative method, you'll find the right contact easier and faster. To confirm the contact, select OK. In the main menu at the top of the screen there are indicators of GSM signal and battery level. On the left there is a GSM signal strength indicator, which shows an approximate level from 0-4. Press the signal indicator to know the exact value of the network coverage expressed in percent. On the right side there is a battery indicator, which shows an approximate level from 0-4. During charging, the indicator will flash indicating the loading progress. After clicking the battery indicator, the information with the exact charge value in percent and the time elapsed since last charging will appear. Voice Assistant allows the application to be operated by people with poor or poor vision. This is possible with the help of speech synthesis, which allows the emission of messages. Just touch the screen and the assistant will read which button has been selected. If you want to click the selected button, lift your finger and press again. The voice assistant will tell you who is calling, allows you to read and write SMS messages, check the time and date and much more. , choose SETTINGS and SOUND and then VOICE. For the function to work properly it is necessary to download an additional application (plugin)	"Voice Assistant - Plugin"
If there is no plugin in the system, after selecting ENABLED : YES , an appropriate message will appear. When we agree, the plugin will be downloaded and installed.